Hello dear Movement Medicine community. I am noticing the changes in me as I move through my 50’s. On the one hand, I have never felt stronger, more creative, focused, disciplined and dedicated to making a difference in this world. On the other, after more than thirty years living the life of a road warrior, leaving home becomes harder and harder. The simple things matter more. It takes a long time and a lot of work for me to know who I am and I am so enjoying resting in that in everything I do. I am falling more and more in love with the land we live on. I’m getting to know it and it’s getting to know me the more I strip away the disconnect and rest in the physical embrace it offers. The trees, the animals who live with us, the stream, the rocks, every little nook and cranny – yes, it’s a relationship that goes on deepening. I want to be here forever and as the clock keeps ticking, whatever stories my mind wants to tell me about my eternal soul, the thought of having to let go sometime breaks my heart. And of course, that’s even more intense when I come to think about the people I love. The layers keep on peeling back and my heart is getting more and more raw. I keep coming back to the simple realisation that the stronger I feel, the more vulnerable I am able to allow myself to be. 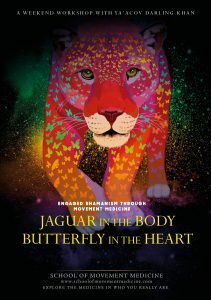 I wrote a best-selling book called Jaguar in the Body, Butterfly in the Heart. Writing is a strong invocation so naturally, I’ve been roaring more and more and the quiet beauty of the butterfly has been creating more and more subtle currents in my heart. I have shouted more, cried more and laughed more this summer than at any previous time in my life. If I didn’t know that emotion was energy needing to move, and if I didn’t know that the weather in my heart was part of the inheritance of my mammalian intelligence, I might have thought I was breaking down. But I was writing for hours every day about one of the things that matters most to me in this world, the archetype of the Inner Shaman. Every time I write, I sit down and drum for half an hour and sing my heart out, praying with everything I’ve got to become the hollow bone that allows the spirit of the book to come through. I see the chapter I am going to write from above, the pattern of it, the landscape it sits in, and then I do my best to get myself out of the way and write. Later I read and edit and it’s then that I really feel the impact of what has come through. The closer I get to the essence of what it is I want to deliver with the book, the more I go through. Thank goodness there’s lots of strimming to do in the summer – so I can get out and do a simple, physical job, that has a beginning, a middle and an end. That and a few boxing classes kept me sane and physical enough to let my heart and mind expand. The book is focused on the 5 Dimensions of relationship: Self, Others, Community, The Imaginal World and the Source. It’s a journey that invites the reader to discover their inner shaman and look at these relationships through that lens. It’s full of powerful rituals that you can do at home. I’m very happy to have reached this stage of having finished the first draft and sent it to the publisher. The editing comes next. It will be out next May or June all being well. I want to take a little time to explicitly honour Susannah. I have really had to ask her for her support with this project and she has been absolutely brilliant with that, cooking for me, listening to me reading and giving suggestions, and holding me when things were just too much. Susannah has spoken about her own journey with this aspect of our relationship in her own writing. And, I want you to know that Susannah is currently writing two books, one more biographical, and the other speaking about movement as medicine for the mainstream. I have had the honour of hearing some of what she has written and it’s really good. So, and this is maybe the most important thing, without pressure, watch this space as Susannah comes around the corner of her menopause and fires up her recently ‘serviced by life’ engines. Her work, her passion for life, her very being have gone through such a deep transformation over the past two years, helped enormously by the small herd (four of them) of Exmoor ponies that are now living with us. Our own understanding of our wild nature, has deepened immeasurably as a result of these super strong and sensitive beings. And we are just at the beginning. Watching Susannah learning to bring her congruency to that level of refinement has been and remains an honour. Her teaching has deepened immeasurably as a result. She is cutting back her workload next year to allow for more space for writing and the natural arising of what’s next for her. So, each of her offerings is more precious. Check out her calendar and get to a workshop with her soon if you can. She’s also made a new online course to support you with your morning practice called Wake Up and like everything she does, it’s brilliant. I know that without Susannah in my life, I would not have achieved 10% of what I manage. We are approaching our 6th and penultimate apprenticeship journey which begins in October. Our last one will begin in the Autumn of 2019. We are so happy to be making space for the brilliant range of MM professionals who are stepping up their training so as to be able to offer their own apprenticeships. It’s exciting to think about how much more accessible the apprenticeship will become in the years to come. 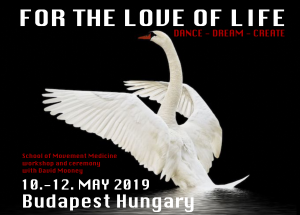 Susannah and I plan to go on teaching and developing our work, as well as offering the Professional Training for those wanting to teach Movement Medicine or integrate its tools, practices and philosophy into their already existing work. I am now on my way home from a wonderful Power Stories workshop in Croatia. I have a week at home of skypes with new apprentices and preparation for the talk I am giving at Hay House’s I Can Do It event in London on 29th September. I hope to see some of you there. After that, Susannah and I have a 10-day break before heading into our Autumn programme. I hope you get the chance to enjoy the beauty of the season, wherever you are. And that you can find the time to remember just how mysterious this whole ‘life in a body on planet earth’ really is. I look forward to seeing you on a dance floor soon or online. 29 & 30 September: The Wounded Healer and the Power of the Unbroken – a talk by Ya’Acov. London, UK. 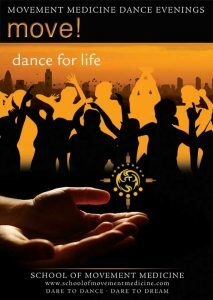 9 October: Bringing the dance back home with Ya’Acov. Webinar, online. 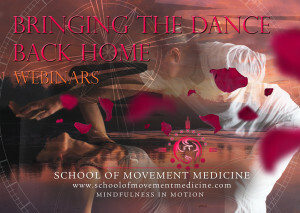 The webinar is a wonderful way to get to know Movement Medicine or integrate workshop experiences and bridge the medicine of the dance into your every day life. 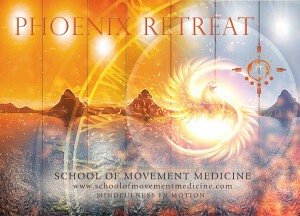 It is also a way to connect with the wider Movement Medicine community around the world. The webinar offers you the music, space and guidance to discover and strengthen your personal dance practice at home (or wherever you are). 30 Nov–2 Dec: The Alchemy of Infinity with Ya’Acov. Zurich, Switzerland. This workshop is about healing the sacred cycle of giving and receiving. It playfully and lovingly challenges our perception of our capacity to give and to receive, challenging the idea that happiness comes through accumulation of wealth or ‘things’. It offers powerful and embodied tools and guidance to heal our personal wounds around the naturally harmonious and balanced cycle of giving and receiving. This is a very potent and important workshop in our current times, offering a chance to discover through dance and community where our true happiness lies.